You are here: Home / Health / Fillet Oh Fish! Is farmed salmon one of the most toxic foods in the world? You may be shocked to discover that farmed salmon has more in common with junk food than health food. This is the grim reality revealed in Nicolas Daniel’s documentary “Fillet-Oh-Fish,” which includes exclusive footage from fish farms and factories across the globe. In a global assessment of farmed salmon published in the January 2004 issue of Science, 13 persistent organic pollutants were found. 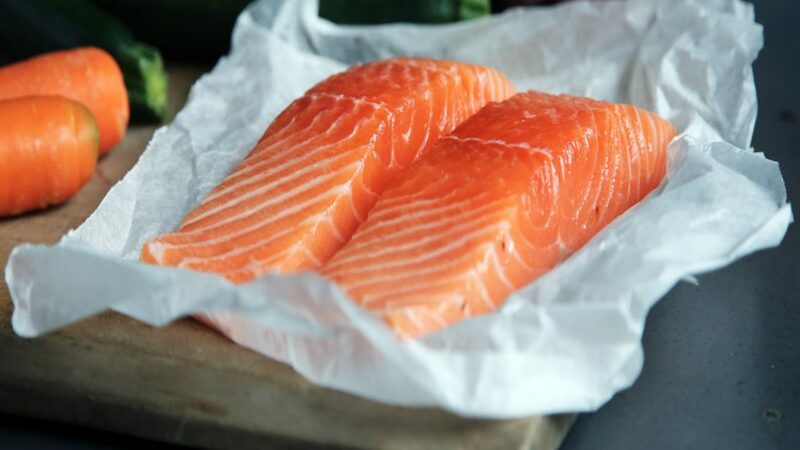 Farmed salmon also does not have the nutritional profile of wild salmon, containing far higher amounts of omega-6, which can have deleterious health ramifications, seeing how most people are deficient in omega-3 while getting far more omega-6 than they need. More than half of the fish Americans eat now comes from fish farms. Aquaculture promotes itself as a sustainable solution to overfishing, but in reality, fish farms cause more problems than they solve. For starters, it takes 1.5 to 8 kilograms of wild fish to produce just 1 kilogram of farmed salmon, so the aquaculture industry is actually contributing heavily to the depletion of wild fish stocks rather than saving it. Pollutants found in the feed include dioxins, PCBs, chlorinated pesticides and a number of other drugs and chemicals. When consumed by the salmon, these toxins accumulate in the fat. One study, which tested 700 salmon samples collected from around the world, found PCB concentrations in farmed salmon are, on average, eight times higher than in wild salmon.